A relatively small band of drug-decriminalization activists in Georgia is changing the way advocacy campaigns are conducted in the country. They have drawn rapid and widespread attention to their cause by relying more on actions than words. Innovation begins with a name. Although the group seeks to decriminalize drug use in Georgia, it has branded itself as the White Noise Movement, a catchy phrase that can appeal to broad segments of society that feel either ignored or trodden upon by authorities. “White noise is when a TV [broadcasts] static, it’s a rather unpleasant noise. We, the victims of violent and unjust policies, come together to generate unpleasant noise, signaling the country has to change to stop this noise,” said Paata Sabelashvili, one of the movement’s leaders. The highest profile action undertaken by the group to date occurred on December 10 in central Tbilisi, the Georgian capital. Hundreds of protesters gathered for a rally to urge officials to scrap draconian criminal penalties and procedures that are designed to deter drug use, but which advocates assert do more to clog up prisons and encourage arbitrary behavior by police. Another creative aspect to the White Noise Movement’s campaign is its incremental approach. Although the decriminalization of drugs may be its ultimate aim, the group’s campaign is emphasizing at present the issue of police overreach in the enforcement of existing policies, namely law enforcement officers’ arbitrary actions in conducting urine tests. The concept of drug decriminalization is still anathema to many in Georgia. But police abuse, long a sensitive topic in the country, is an issue that lots of Georgians can relate to. Unlike many advocacy campaigns of the past, which focused on trying to sway opinion at the top of Georgia’s political establishment, the White Noise Movement is pursuing a bottom-up strategy. The group relies on what participants describe as “artistic activism,” and often resorts to crowdsourcing to come up with what is needed to stage any given action or event. And White Noise uses visuals more than the written word to spread its message. Videos, spread on the Internet, have become a favored advocacy tool. For example, when the government decided to mark Police Day on June 2 – a move that came just two weeks before a large rally for the decriminalization of marijuana was planned for the same day – the White Noise Movement made a satirical Karaoke version of the national police anthem. The tactic was a big hit – far more effective than the release of a press statement. “They stole the day [June 2] like the Grinch did with Christmas … so we decided to steal their anthem,” Sabelashvili explained. In response to the suicide of the 22-year-old Demna Sturua from Dapnari, a small western Georgian village, after he was forced to disclose names of friends growing marijuana, the movement lit candles in front of a government building. The candles formed a sentence from Sturua’s suicide note: “Mom, you’re left alone, but what could I do?” Activities also used white smoke, symbolizing that the movement can not only be heard, but also be seen. Whereas other non-governmental organizations and advocacy-oriented entities in Georgia tend to organize press conferences or meetings to raise awareness about their respective causes, White Noise activists go to where those affected by the harsh drug policies are: they go to the clubs. The movement has developed a rapid-response component that organizes pickets of urine testing facilities, and documents police behavior during suspected drug-related arrests on video. Such tactics have proven effective. “When we arrive to a police station after we’ve received a call from one of our community members, our presence alone is often enough for them [authorities] to release the person,” Sabelashvili said. For Sabelashvili and other leaders of the group, innovation was the byproduct of failed beginnings. The group came together two years ago, ostensibly to protest the arrest of Beka Tsikarishvili on drug possession charges. It had trouble gaining traction until only a few months ago, when it started testing new advocacy techniques. A turning point came last summer, centering on the drug possession case of Kote Japaridze, who was imprisoned for possessing 2 grams of MDMA, commonly known as ecstasy. “We released a video recorded two hours before Kote Japaridze was jailed. More than 115,000 people saw it within a day, and around 1,800 people shared it on social media,” Sabelashvili told EurasiaNet.org. Since the distribution of White Noise’s Japaridze video, the group has experienced rapid growth. 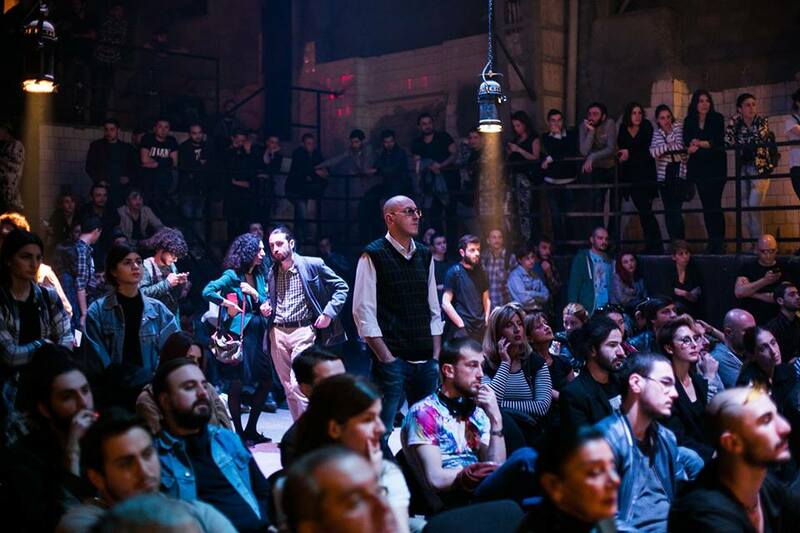 While White Noise has found a following, it now must evolve in order to maintain momentum, according to Maggie Osdoby Katz, a Tbilisi-based strategy and social change consultant. Sabelashvili is confident that White Noise is up to the challenge, saying the movement has already made some allies within civil society and the parliament. “We need to stand out from all other campaigns in order to bring this issue to the top of the political agenda. This is why we place our focus on innovation,” he said. This article was updated on December 17 to clarify the White Noise Movement's advocacy objective. Inge Snip writes about (social) innovation, startups, and grassroots movements. She believes people can inspire with their actions, and their stories need to be heard. She hails from the Netherlands, but has lived in Tbilisi on and off since 2007.